The annual Day of Prayer for Survivors and Victims of Sexual Abuse will take place on Friday 15 February with candles of atonement lit in cathedrals and parishes throughout the country. 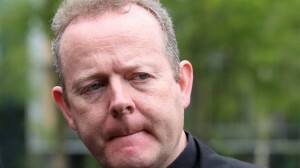 Welcoming the initiative, the leader of the Church in Ireland, Archbishop Eamon Martin of Armagh, said lighting the candles of atonement would bring to mind “our brothers and sisters, and their families, who have been left with a lifelong suffering as a result of abuse, whose trust was so deeply betrayed and whose faith has been so cruelly tested within the sanctity of the Church by perpetrators of abuse”. The atonement candles were blessed and dedicated by the bishops during their recent retreat in Knock. The Day of Prayer for Victims and Survivors of Abuse is an initiative started by Pope Francis. It was first marked in Irish dioceses and parishes in 2017. Archbishop Martin, who will represent the Irish Church at the Vatican summit on safeguarding later this month, highlighted that he has been meeting victims and survivors of abuse and members of their families in the four provinces of Ireland in preparation for the summit in Rome. He said he had been humbled by survivors’ courage and overwhelmed by their generosity of spirit. The Day of Prayer for Survivors and Victims of Sexual Abuse takes place a week before the opening of Pope Francis’ gathering in Rome with senior bishops and major religious superiors on 21 February. That gathering continues until 24 February, discussing child safeguarding throughout the universal Church. “The Candle of Atonement and accompanying prayer are offered as a reminder to all of the need for us to atone, to ask forgiveness as a Church for the suffering caused by abuse. My hope is that these candles will be lit in cathedrals and parishes across the country as a reminder of the need for atonement and that they will symbolise repentance, light in the darkness and hope,” Dr Martin said. Encouraging dioceses and parishes to undertake the new prayer initiative and to light the Candle of Atonement, he said it would mean a lot to survivors if the Candle of Atonement were a permanent feature in the Irish Church’s cathedrals and parish churches. People visiting the church for quiet prayer might light the ‘Candle of Atonement’, pray the prayer, and bring to mind someone they know who has been directly impacted or affected by abuse. He specifically asked people to light the candle at all Masses from 15 to 17 February, and also on the weekend of 23 to 24 February while the safeguarding meeting is taking place with Pope Francis in Rome. Speaking to Catholicireland.net in Monaghan following the episcopal ordination of Bishop Larry Duffy, Archbishop Martin explained that his open letter published in the Irish Catholic newspaper inviting people to reflect on the issue of safeguarding had generated a “large amount of feedback”. He said the feedback would provide “a snapshot of where we are at on this issue in Ireland”. The bishops would discuss this on his return from the abuse summit in Rome. This, he said, had been achieved through ensuring best practice in terms of standards and guidance but also through the NBSCCCI’s auditing function.